Texas GOP Chairman Steve Munisteri has come out condemning 'ex-gay 'therapy’s inclusion as a line item in The Republican Party of Texas’s 2014 platform. Munisteri says he’s not alone. “The Texas Republican Party has millions of people who vote for it and every individual Republican has their own views on issues,” The Chairman said this week. 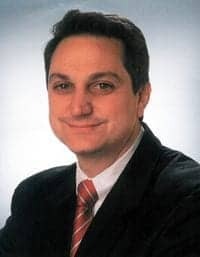 Munisteri made headlines earlier this year after openly barring the Log Cabin Republicans of Texas from formal participation in the Texas State Republican Convention citing a difference in opinion on gay marriage. LGBT reparative therapy, anti-vaccination, withdrawal from the UN, and reparations are but a few of the issues highlighted in the Texas GOP Platform that Munisteri says aren’t reflective of the state’s actual delegation. Rather, a platform committee is selected from members of the 31 state senatorial districts and charged with crafting the platform on its own. “It’s false to represent that each one of those platform planks necessarily represents the view of the majority view of either the majority of the delegates let alone a majority of Republicans,” Munisteri said of the platform.